Integrative scenario models-models that consider cross-sector innovations in a given city, or the cumulative impact of interventions in multiple cities-offer a way to put into practice the knowledge generated across the network’s diverse research efforts. Modeling that brings together findings about physical system performance, linked with possible environment, health or wellbeing outcomes taking into account to real-world user behaviors and motivations, as well as relevant governance, policy, and business or financing trends can offer a comprehensive view of interactions between infrastructure systems and their surrounding physical, social, and institutional landscapes. 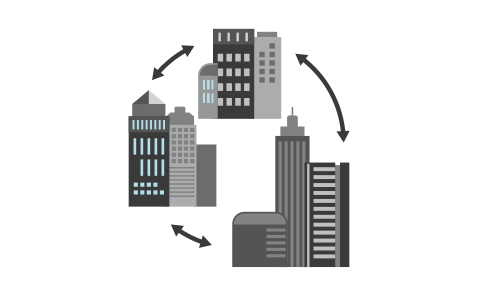 Despite the rising number and scope of urban modeling efforts worldwide, models that represent the desired societal outcomes associated with distributed infrastructure systems remain nascent, primarily because most urban modeling platforms are dominated by centralized infrastructure design. Mature or high performing models of urban distributed infrastructure and associated societal outcomes are now necessary, as moves toward infrastructure decentralization and localization gain momentum. The network’s modeling efforts are focused on exploring the synergies and tradeoffs in environment, health and well-being outcomes associated with infrastructure transitions, which may vary substantially across different city types and policy regimes.